James Condon, actor in many Australian stage, film and television productions, has died peacefully at the age of 90. Born in Western Australia, Condon’s career started at ABC radio in Perth before serving in the Air Force during World War II. After the war he worked for the BBC before returning to Australia to resume his acting career, working on radio serials. 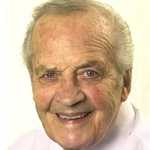 When TV arrived in 1956 he appeared on the opening night of ABN2, Sydney, and in a number of ABC plays before landing the lead role in ATN7‘s The Story Of Peter Grey, one of the first soap opera dramas produced for Australian television. Other early TV credits included The Outcasts, The Patriots, Contrabandits, I Married A Bachelor, The Link Men, The Rovers, Catwalk, Luke’s Kingdom and Homicide. 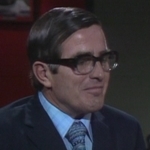 As well as appearing as Sir Arnold Ashton in Number 96 he also appeared as politician Nicholas Brent in the spin-off feature film of 1974. 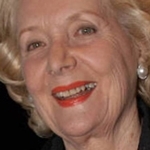 Later television appearances included Chopper Squad, Prisoner, Bellamy, The Flying Doctors, The Private War Of Lucinda Smith, A Country Practice,Time Trax, The Late Show, Blue Heelers and Something In The Air. He starred twice in Neighbours, first as conman Douglas Blake trying to swindle Helen Daniels (played by his wife Anne Haddy). A decade later Condon was back as Reuben White, who went on to marry Helen Daniels. 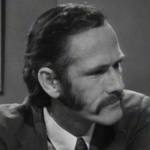 He also starred on stage and in film — including titles Scobie Malone, Barnaby And Me, Super Sleuth, Evil Angels and Tim. James Condon is survived by children Elizabeth, Susan, Katherine and Mary-Jane, step-children Jane and Tony, grandchildren and great-grandchildren. Anne Haddy, his second wife, died in 1999. Source: WA TV History, IMDB, Perfect Blend. 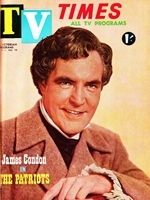 TV Times, 4 July 1962. The best and handsomest actor of his time…Thanks for all the memories.